This week’s blog post is written by Hannah, a 2nd year Monthly Blog Correspondent and Brookies, Bucktails, and Drummers alumni. 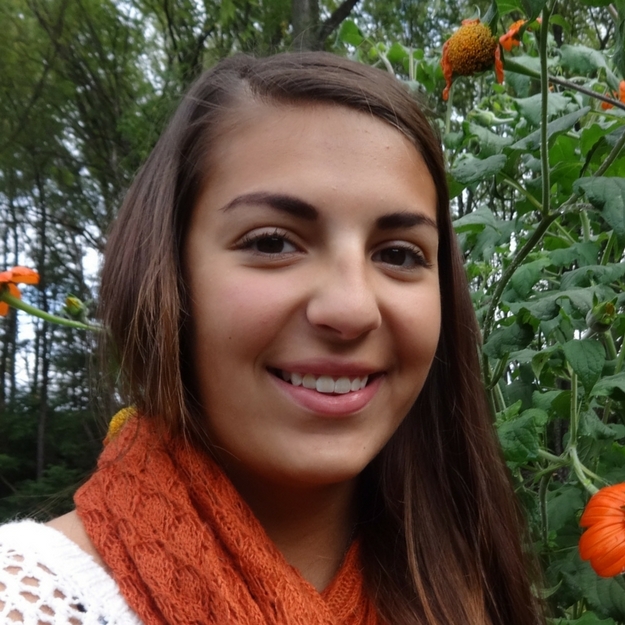 Her role as a Conservation Ambassador led her to a new topic, soil conservation. 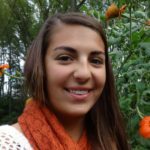 After further investigation, Hannah is now well versed in soil conservation and lays out her research on why healthy soil is full of life in today’s blog. As a Conservation Ambassador for the Wildlife Leadership Academy, it has been my pleasure to study various species and the efforts related to conserving each. Recently the opportunity presented itself for me to delve into something I wasn’t as versed in: soil conservation. Healthy soils hold a large percentage of life. Just one- acre sample, containing the top six inches of soil, can have more than 5,000 pounds of life in it. It has the most diverse variety of microscopic and macroscopic life on the planet. 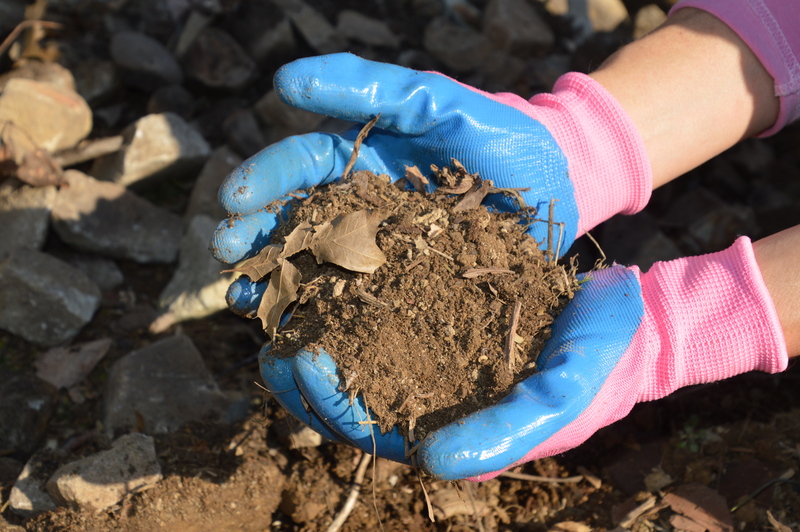 Most of the soil mass is made up of microorganisms (microbes) such as yeasts, algae, protozoa, bacteria, nematodes and fungi. Without having these important microbes, we would not have dark, rich, stable humus. Humus is organic matter that is made from the decomposing leaves and other plants by the microbes. The microbes use the soil as their food and shelter. This allows the soil to build and have a strong structure. (“Healthy Soils Are Full of Life- Natural Resources Conservation Service,”) Microbes are the foundation of a diverse ecosystem that provides a base for agricultural activity and sustainability. Soil health, also referred to as soil quality, is defined as the continued capacity of soil to function as a vital living ecosystem that sustains plants, animals, and humans (“Soil Health- National Resources Conservation Service- Soil,”). Soil quality should not be limited to soil productivity alone, but should encompass environmental quality, human and animal health, and food safety and quality (“American Journal of Alternative Agriculture,” V.7, Issue 1-2, 1992). In order to have healthy soil the proper balance and blend must occur of these three properties: biological, physical, and chemical. 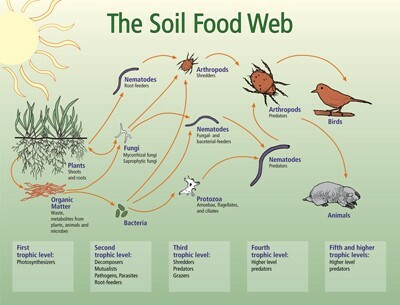 Biological healthy soil contains a variety of microbes that help to break down the organic matter (leaves, plants), convert nitrogen to organic forms that nurtures the crops, synthesize vitamins, enzymes, and hormones, and control the amount of soil-borne pathogens/parasitic nematodes. Physically healthy soil is based off of how compact the soil is, the storability of water, and its drainage ability. 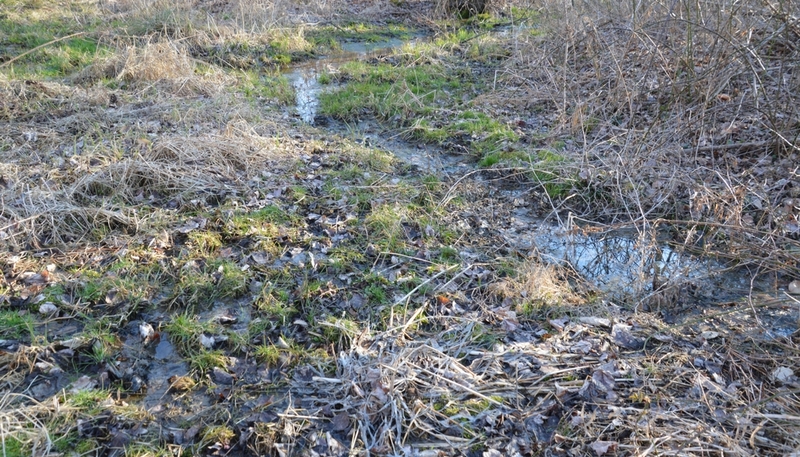 By tilling the fields, the water can be stored for later use, there is increased development of root systems, reduced runoff, and prevention of soil compacting. Aeration is another huge necessity for healthy soil because it allows the soil to breathe. This allows the crops to adapt to the wet and dry conditions. Chemically healthy soil balances the pH, salt, and nutrient levels. In order to have ideal crop growing conditions, there must be controlled and managed nutrients. Having too much nitrogen and phosphorus nutrients can be harmful to our environment. High levels of these elements can pollute the surface and the groundwater (“Healthy Soils Produce Healthy Crops-SARE,” 2012). Together these three properties work side by side to ensure healthy soil for crop production. Without one, the others cannot function properly and can result in soil degradation. It takes 10,000 years to create soil and only 10 years to destroy it. Healthy soil supplies us with food, filters out air and water, and helps to decompose biological waste into nutrients for new plant life. Without healthy soil the world would perish. To conserve soil, all fields must be covered in grass and plants during the off-season to make sure there is no excessive water runoff or physical/chemical degradation. Tilling and rotating crops can also help to conserve soil by replenishing needed nutrients back into the soil. 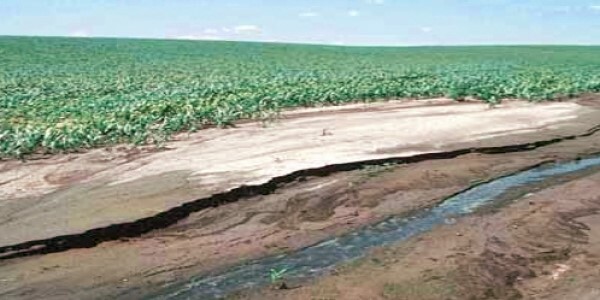 Nutrient management ensures healthy soil because it monitors the nutrient levels and its ability to absorb water (Reference- Methods of Soil Conservation,”). All of these conservation efforts are essential for ecosystems to simply be maintained and protected, or to allow them to recover from influences such as weather, climate change, pest infestation, pollution, and human exploitation. By conserving our soil today, we are ensuring success for future generations in having healthy soil required for life. It is essential that we start with the basics of soil when we look at conserving everything else. I plan to attend a four year college majoring in ecology, which combines conservation biology, fisheries, and wildlife management. My goal is to minor in environmental studies, so that I can learn the legislative background associated with related issues. After college I will pursue a job involving conservation so that I can make a difference for future generations. “Natural Resources Conservation Service.” Healthy Soils Are…Fact Sheets | NRCS. N.p., n.d. Web. 29 Jan. 2017. Natural Resources. “Healthy Soils Are: Full of Life.” Natural Resources Conservation Service. USDA, n.d. Web. 29 Jan. 2017. Nationwide, SARE. “Healthy Soils Produce Healthy Crops.” Healthy Soils Produce Healthy Crops. N.p., n.d. Web. 29 Jan. 2017. “Soil Erosion and Degradation.” WWF. World Wildlife Fund, n.d. Web. 29 Jan. 2017. “Farming: Habitat Conversion & Loss.” WWF. N.p., n.d. Web. 29 Jan. 2017. “What Are Three Methods of Soil Conservation?” Reference. N.p., n.d. Web. 29 Jan. 2017. “Natural Resources Conservation Service.” Soil Health | NRCS Soils. N.p., n.d. Web. 29 Jan. 2017. 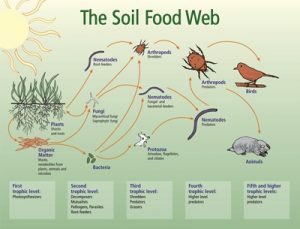 “Natural Resources Conservation Service.” Soil Fungi | NRCS Soils. N.p., n.d. Web. 29 Jan. 2017. Foundation, GRACE Communications. “Soil Quality.” GRACE Communications Foundation. N.p., n.d. Web. 29 Jan. 2017.